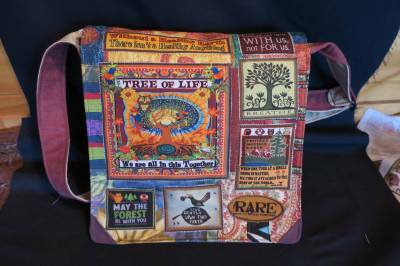 Tree of Life bag-handmade from recycled materials. 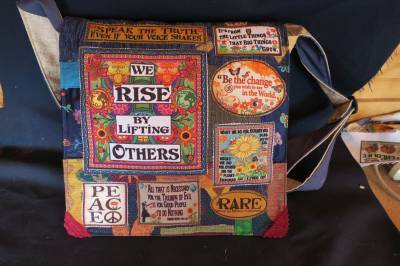 We Rise bag-handmade from recycled materials. 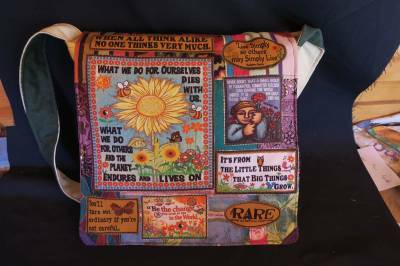 Sunflower bag-handmade from recycled materials.